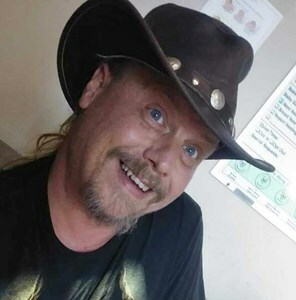 John H. Gordon, 50, of Topeka, passed away on Monday, October 29, 2018 at a Topeka hospital. He was born June 11, 1968 in Cherry Point, North Carolina, the son of David J. and Dessie L. (Warren) Gordon. John graduated high school in Guthrie, Oklahoma and earned a Culinary Degree from Washburn Tech. He was employed by Ramada Inn and Stormont-Vail. He was a member of Lighthouse on the Rock Church. Survivors include one daughter; Natasha May Kroth of Guthrie, Oklahoma, his mother; Dessie L. Ortiz of Tecumseh, his father; David J. Gordon of Topeka and his fiancée; Sandra M. Taylor of Topeka. Memorial services will be held at 11:00 a.m. Saturday, November 17, 2018 at the Lighthouse On The Rock Church. Private inurnment will take place at a later date. Add your memories to the guest book of John Gordon. To the family, my heartfelt condolences for your loss of your loved one. Please find comfort in the knowledge that God promises to put an end to all the things that have plagued mankind for centuries including pain, suffering and death (Revelation 21:3,4). May these promises from God's word, the Bible give you comfort now and real hope for the future. My deepest sympathy.